Tamilnadu Police sub-inspector recruitment has been announced by the Tamilnadu uniform services board. Are you looking for the best coaching? We Shine Academy offers you coaching classes, this is one of the best police exam coaching center. The Tamil Nadu Uniformed Services Recruitment Board A.K.A TNUSRB was Constituted by the Government of Tamil Nadu. The Board is manned by a Superintendent of Police, a Deputy Superintendent of Police and a Team of Ministerial Staff. You will be undoubtedly aware that Police Exam involves Three levels of Strict Evaluation i.e based on Written, Physical Training, and Interviews. It is Quite Obvious that just Hard Work is not going to Feed When it comes to Police Exam. To Taste Success it is Very important for you to be Prepared for All Three Levels of Evaluation. In such case, you Strongly nee the Support of Well-Versed Professionals Who has already mastered it in past. For Best Police Exam Coaching Centre Chennai. We Shine Academy have their Best subject Experts for all the subjects to give you Complete Training for your Written Exam. Apart from that We Shine also Provides you Best Physical Training for Sub – Inspector Coaching in Chennai. With Daily updation of Current Affairs, We Shine make its Students aware of what’s happening all Around the World. We Shine Academy is the MOST TRUSTED name for TNRUB Coaching Centre in Chennai. 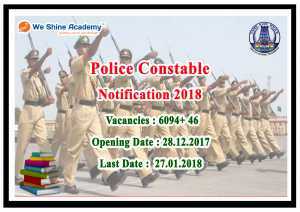 We Shine Academy has an unmatched Record of delivering 187 Successful Result in 2017 Police Exam. 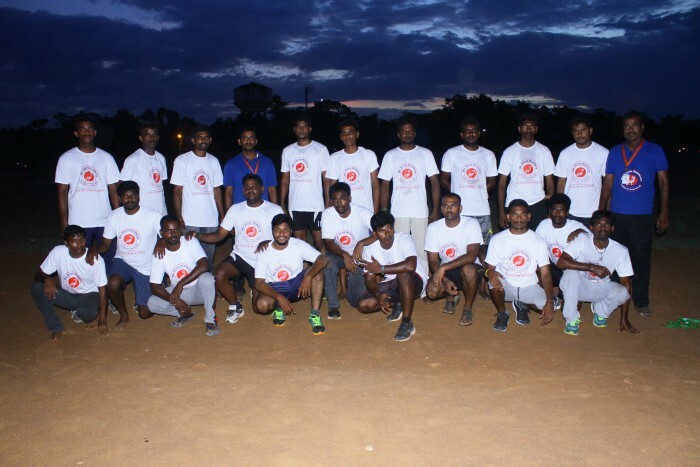 We-Shine Academy IS THE ONLY Coaching Centre in Chennai providing In-House Physical Training Assistance SEPARATELY for Men & Women. Prior exposure to this helps them to be one step ahead for Fellow Competitors. At We Shine Academy we subject Our Students’ to the Highly Competitive Environment, which helps them to gain Self-Confidence. Our Expert Faculties ensure Syllabus Coverage before Time, which gives Our Students Plenty of time for Revision and Physical Training. Short-cut Trick & individual attention by Experienced Professionals helps Our Students to Learn FAST with Crystal Clear understandings. State-of-art Air Conditioned practice rooms with Well-equipped Computers to ensure that Students get the best possible Real-Time Experience. Special Classes by Central & State Govt. officials. Monthly, Weekly & Daily Scheduled test to assess the Developments and Our Experts suggest a change in approach if Needed. This is the best SI coaching center in Chennai. We help you Focusing on Speed and Accuracy Which is Most Important for Competitive Exams. We Shine Academy provides you Complete Guidance throughout your Exams for Sub Inspector Coaching in Chennai and Analysis will be done individually with your Test marks. We also provide you Extra Study Material, Booklets and Previous Question Paper for Police Exams and it has been uploaded to our website for your Quick Reference. We Shine Academy always guides you through Success. We focus on all the training required for police exam. For a male, there are some specific Training like Roping, High jump, Long Jump, 400/100 meters running. Time management is vital when comes to the exam. We focus on some specific training for them as per the exam rules. We train the female candidate with time management and Cricket ball throw. We strive with our students to make them attain success. We Shine Academy is easy to locate and has its coaching centers at Chrompet, Anna Nagar, and Adyar. We offer flexible batch timings suiting our student’s feasibility starting from morning, evening and weekend batches. You are also Welcome to attend our Demo Classes before Joining. Do Not Forget to check our social media pages for reviews.